Winter weddings are so beautiful for Lauren and John! Winter weddings are so beautiful and this was definitely the case for Lauren and John! Lauren’s bouquet featured a beautiful combination of ivory roses, champagne roses, Antigua carnations and blush spray roses. John’s white rose boutonniere complimented Lauren’s gorgeous bouquet! 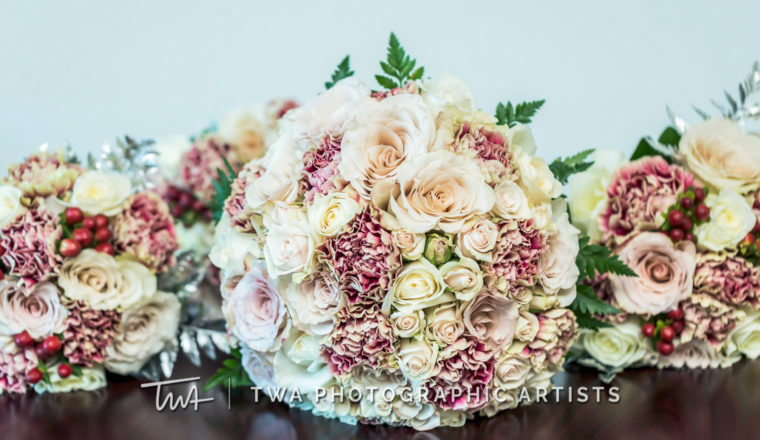 Laura’s bridesmaids bouquets featured a combination of white roses, champagne roses, Antigua carnations and were accented with red hypericum berries. Thank you to Timothy Whaley & Associates for the images!